Teaching tool or distraction? The key to any engaging lesson in the classroom, of course, is to connect it to the learning objectives, and Kahoot! makes it easy to do so. in my role as director of my college’s teaching center, I hosted a faculty discussion of Jay R. Howard’s excellent book Discussion in the College Classroom, which recommends that we build structural methods of participation into our courses, rather than just relying on the vocal students to carry the conversation. The first three columns in “The Distracted Classroom” series have explored the fundamental problem of digital distraction in our lives today, the way recent technologies have exacerbated that problem, and the possible solutions. All of those columns drew on the research presented by Adam Gazzaley and Larry D. Rosen in their excellent book, The Distracted Mind: Ancient Brains in a High-Tech World. Autonomy. The literature on helping students take a deep approach toward their learning — as opposed to a more surface or strategic orientation — suggests they learn best when they feel a sense of autonomy in class. Another approach to the problem of digital distraction, then, would be to invite students into the process of setting the policies that will operate in the classroom. Cathy Davidson has argued very effectively for what she calls a “class constitution” — an agreement that the class has reached together about certain aspects of how the course will operate. Engage your students: connect CMS (D2L) to social media to enhance the learning process. In this rapid succession of examples, one can experience a showcase how to enhance students’ engagement by modernizing D2L experience through connection with social media. Bring your own examples and participate in a discussion, which aims finding the right tools for your class and field of study. Why social media in education? What are the advantages, disadvantages? Facebook in a learning environment MUST BE conducted using a Facebook group. Unless the instructor is SPECIFICALLY using h/er FB account strictly for educational reasons and there is no personal content, the instructor can create a class-related group, with their personal FB account. While the account is personal, the FB group has NO access to the personal FB account. Facebook Page is different from Facebook Group. The first is commercially oriented and thus, not recommended and to a great degree not suitable for educational purposes. D2L news RSS compared to FB Group alert. microblogging of 140 characters is often viewed as limiting. However, it can be the ultimate test how well students understand the learning material: making someone sum up in 140 characters what they learned this particular week in their class can take a lot of rewriting. D2L allows a widget on its main page, where students can view and tweet. Students also can view and tweet from their mobile devices. Instagram is a social media service, which allows both still images and videos (15 sec). The bottom-line to evaluate if fitting your field of study is: can the content be narrated or is it much better if visualized. If the latter, Instagram can be your salvation for quick and dirty way to bring imagery, instead of trying to explain by words. Instagram can be shared vertically across Facebook, Twitter, Google+ and other platforms. Instagram defines and shapes brands while Pinterest sells brands. Pinterest is about curating and discovering information. Vine is a social media services, which provides the ability to share 7 sec videos. Vine is becoming more popular then Instagram (15 sec videos), with the simplicity to create short videos. Students can take sequence of short videos, which amount to 7 sec to reflect the main points of a project. E.g. : chemical reaction, biology dissection, progress of engineering planning, solving a math formula. The bottom-line to evaluate if fitting your field of study is: can the content be narrated or is it much better if visualized. If the latter, Vine can be your salvation. Google+ is indirect competition with any CMS, D2L included, with its GOogle Classroom platform (https://classroom.google.com/ineligible). K12 and higher institutions are outsourcing to GMAIL and with Google Hangouts (Skype also), one can share video, audio and desktops, which makes Adobe Connect + D2L way behind in integration even before Google Drive is mentioned. 8 Ways to Use Google+ Hangouts for Your Business http://blog.stcloudstate.edu/ims/2015/09/23/google-hangouts/You can record hangouts directly to your YouTube channel for future use.For private Google+ Hangouts, choose Google+ Video Hangouts, which allow you to have up to 10 participants in a video chat that is accessible only to the people invited. Engage your students: gaming and gamification in the learning process. By the end of the session, the participants will be familiar with the possibilities for integration of games in the educational process and for gamification of the educational process. Discussion on how gaming and gamification fits the personal interests and curricula in various disciplines. Two trends plague education: the swamp of PowerPoint presentations and the lack of visual literacy. In this rapid succession of examples, one can experience a showcase of various cloud-based tools, which brings visual presentations way beyond PowerPoint and align with the Millennials demand for current social interaction. A discussion on how relevant these tools are to various disciplines and details on improving the interaction among instructors and students during the presentation. Ongoing discussion about design as part of visual literacy and the difference between blended learning and technology integration. By the end of the session, the participants will be familiar with several tools, which successfully replace PowerPoint and well beyond. By the end of the session, the participants will be able to discriminate between technology integration and blended learning. crops the video so one can watch only a segment. Does not make much sense, since YouTube gives an URL to the reference point, but it allows instructor’s audio feedback. It is still too much “instructor’s proprietary” and not so much students-engaging as Zaption Presenter and Kahoot. now engaging, interactive material for tablets and touch screens become even more engaging by adding now inteaction via mobile devices and moving the students off their desktops and laptops. Open or free learner response software (i.e. BYOD clickers)? I am currently preparing for next semester. A learner response system allows the instructor (or presenting students) to easily interact with a large audience by posing questions or problem statements, and then collecting all responses which can be shown in real-time on the projection screen. In particular, a BYOD (Bring Your Own Device) system is one that only needs software (such as Learning Catalytics) and runs on any smartphone or tablet with internet access, which the students already have. So far, I have not found a free learner response system (or “clicker”). I like the features of Learning Catalytics, but it’s difficult to convince students or the department to spend that much money (12$ per student). Also, the professor (and I also) categorically dislike any non-free solutions (many of us in Computer-Science are big fans of open-source, especially when it comes to the essentials, such as education). Please note: This might not seem much to American education, but it is in most other countries, especially when that’s the price of a text book and even enrollment. After all, education should ideally be free (feel free to argue with me privately if you disagree). Bring Your Own Device/Technology is an initiative meant to increase students learning opportunities through technology. Please have the following instructions regarding the CRS (aka clickers) from Turning Technologies. 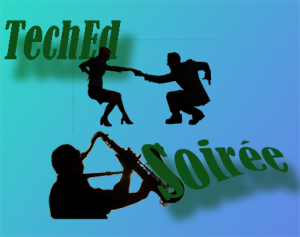 The Technology Literate Professoriate: Are We There Yet? Students may know how to navigate the Internet and use other forms of digital technology for purposes of their own learning, but do they know how to take full advantage of those technologies for learning at the university level? 1. Is your system proprietary as far as the handheld device and the operating system software? The site and the service are the property of Poll Everywhere. We do not provide handheld devices. Participants use their own device be it a smart phone, cell phone, laptop, tablet, etc. 2. Describe the scalability of your system, from small classes (20-30) to large auditorium classes. (500+). Poll Everywhere is used daily by thousands of users. Audience sizes upwards of 500+ are not uncommon. We’ve been used for events with 30,000 simultaneous participants in the past. 3. Is your system receiver/transmitter based, wi-fi based, or other? 4. What is the usual process for students to register a “CRS”(or other device) for a course? List all of the possible ways a student could register their device. Could a campus offer this service rather than through your system? If so, how? Student participants may register by filling out a form. Or, student information can be uploaded via a CSV. 5. Once a “CRS” is purchased can it be used for as long as the student is enrolled in classes? Could “CRS” purchases be made available through the campus bookstore? Once a student purchases a “clicker” are they able to transfer ownership when finished with it? N/A. Poll Everywhere sells service licenses the length and number of students supported would be outlined in a services agreement. 6. Will your operating software integrate with other standard database formats? If so, list which ones. Need more information to answer. 7. Describe the support levels you provide. If you offer maintenance agreements, describe what is covered. 8am to 8pm EST native English speaking phone support and email support. 8. What is your company’s history in providing this type of technology? Provide a list of higher education clients. 10. What personal data does your company collect on students and for what purpose? Is it shared or sold to others? How is it protected? Name. Phone Number. Email. For the purposes of voting and identification (Graded quizzes, attendance, polls, etc.). It is never shared or sold to others. 11. Do any of your business partners collect personal information about students that use your technology? 12. With what formats can test/quiz questions be imported/exported? Import via text. Export via CSV. 13. List compatible operating systems (e.g., Windows, Macintosh, Palm, Android)? Works via standard web technology including Safari, Chrome, Firefox, and Internet Explorer. Participant web voting fully supported on Android and IOS devices. Text message participation supported via both shortcode and longcode formats. Depends on negotiated service level agreement. We offer a student pays model at $14 per year or Institutional Licensing. 15. Describe your costs to the institution. 16. Describe how your software integrates with PowerPoint or other presentation systems. Downloadable slides from the website for Windows PowerPoint and downloadable app for PowerPoint and Keynote integration on a Mac. 17. State your level of integration with Desire2Learn (D2L)?Does the integration require a server or other additional equipment the campus must purchase?Export results from site via CSV for import into D2L. 17. How does your company address disability accommodation for your product? We follow the latest web standards best practices to make our website widely accessible by all. To make sure we live up to this, we test our website in a text-based browser called Lynx that makes sure we’re structuring our content correctly for screen readers and other assisted technologies. 18. Does your software limit the number of answers per question in tests or quizzes? If so, what is the max question limit? 19. Does your software provide for integrating multimedia files? If so, list the file format types supported. Supports image formats (.PNG, .GIF, .JPG). 20. What has been your historic schedule for software releases and what pricing mechanism do you make available to your clients for upgrading? We ship new code daily. New features are released several times a year depending on when we finish them. New features are released to the website for use by all subscribers. Poll Everywhere is a web based classroom response system that allows students to participate from their existing devices. No expensive hardware “clickers” are required. More information can be found at http://www.polleverywhere.com/classroom-response-system. 22. If applicable, what is the average life span of a battery in your device and what battery type does it take? N/A. Battery manufacturers hate us. Thirty percent of their annual profits can be contributed to their use in clickers (we made that up). 23. Does your system automatically save upon shutdown? Our is a “cloud based” system. User data is stored there even when your computer is not on. 24. What is your company’s projection/vision for this technology in the near and far term. 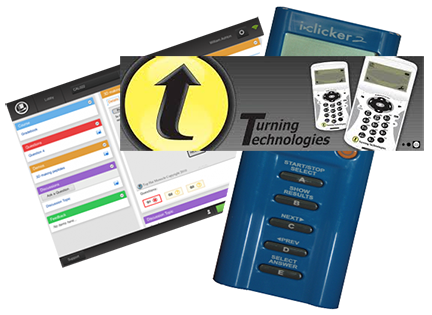 We want to take clicker companies out of business. We think it’s ridiculous to charge students and institutions a premium for outdated technology when existing devices and standard web technology can be used instead for less than a tenth of the price. 25. Does any of your software/apps require administrator permission to install? 26. If your system is radio frequency based, what frequency spectrum does it operate in? If the system operate in the 2.4-2.5 ghz. spectrum, have you tested to insure that smart phones, wireless tablet’s and laptops and 2.4 ghz. wireless phones do not affect your system? If so, what are the results of those tests? 27. What impact to the wireless network does the solution have? Depends on a variety of factors. Most university wireless networks are capable of supporting Poll Everywhere. Poll Everywhere can also make use of cell phone carrier infrastructure through SMS and data networks on the students phones. 28. Can the audience response system be used spontaneously for polling? 29. Can quiz questions and response distributions be imported and exported from and to plaintext or a portable format? (motivated by assessment & accreditation requirements). 30. Is there a requirement that a portion of the course grade be based on the audience response system? NDSU has been standardized on a single student response (i.e., “clicker”) system for over a decade, with the intent to provide a reliable system for students and faculty that can be effectively and efficiently supported by ITS. In April 2011, Instructional Services made the decision to explore other response options and to identify a suitable replacement product for the previously used e-Instruction Personal Response System (PRS). At the time, PRS was laden with technical problems that rendered the system ineffective and unsupportable. That system also had a steep learning curve, was difficult to navigate, and was unnecessarily time-consuming to use. In fact, many universities across the U.S. experienced similar problems with PRS and have since then adopted alternative systems. A pilot to explore alternative response systems was initiated at NDSU in fall 2011. The pilot was aimed at further investigating two systems—Turning Technologies and iClicker—in realistic classroom environments. As part of this pilot program, each company agreed to supply required hardware and software at no cost to faculty or students. Each vendor also visited campus to demonstrate their product to faculty, students and staff. An open invitation to participate in the pilot was extended to all NDSU faculty on a first come, first serve basis. Of those who indicated interest, 12 were included as participants in this pilot. The pilot included three components: 1) Vendor demonstrations, 2) in-class testing of the two systems, and 3) side-by-side faculty demonstrations of the two systems. After exploring several systems, Instructional Services narrowed down to two viable options—Turning Technologies and iClicker. Both of these systems met initial criteria that was assembled based on faculty input and previous usage of the existing response system. These criteria included durability, reliability, ease of use, radio frequency transmission, integration with Blackboard LMS, cross-platform compatibility (Mac, PC), stand-alone software (i.e., no longer tied to PowerPoint or other programs), multiple answer formats (including multiple choice, true/false, numeric), potential to migrate to mobile/Web solutions at some point in the future, and cost to students and the university. In the first stage of the pilot, both vendors were invited to campus to demonstrate their respective technologies. These presentations took place during spring semester 2011 and were attended by faculty, staff and students. The purpose of these presentations was to introduce both systems and provide faculty, staff, and students with an opportunity to take a more hands-on look at the systems and provide their initial feedback. In the second stage of the pilot, faculty were invited to test the technologies in their classes during fall semester 2011. Both vendors supplied required hardware and software at no cost to faculty and students, and both provided online training to orient faculty to their respective system. Additionally, Instructional Services staff provided follow-up support and training throughout the pilot program. Both vendors were requested to ensure system integration with Blackboard. Both vendors indicated that they would provide the number of clickers necessary to test the systems equally across campus. Both clickers were allocated to courses of varying sizes, ranging from 9 to 400+ students, to test viability in various facilities with differing numbers of users. Participating faculty agreed to offer personal feedback and collect feedback from students regarding experiences with the systems at the end of the pilot. In the final stage of the pilot, Instructional Services facilitated a side-by-side demonstration led by two faculty members. Each faculty member showcased each product on a function-by-function basis so that attendees were able to easily compare and contrast the two systems. Feedback was collected from attendees. In stage one, we established that both systems were viable and appeared to offer similar features, functions, and were compatible with existing IT systems at NDSU. The determination was made to include both products in a larger classroom trial. In stage two, we discovered that both systems largely functioned as intended; however, several differences between the technologies in terms of advantages and disadvantages were discovered that influenced our final recommendation. (See Appendix A for a list of these advantages, disadvantages, and potential workarounds.) We also encountered two significant issues that altered the course of the pilot. Initially, it was intended that both systems would be tested in equal number in terms of courses and students. Unfortunately, at the time of the pilot, iClicker was not able to provide more than 675 clickers, which was far fewer than anticipated. 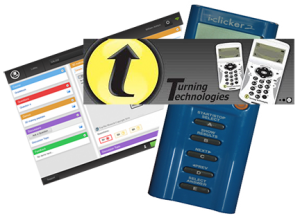 Turning Technologies was able to provide 1,395 clickers. As a result, Turning Technologies was used by a larger number of faculty and students across campus. At the beginning of the pilot, Blackboard integration with iClicker at NDSU was not functional. The iClicker vendor provided troubleshooting assistance immediately, but the problem was not resolved until mid-November. As a result, iClicker users had to use alternative solutions for registering clickers and uploading points to Blackboard for student viewing. Turning Technologies was functional and fully integrated with Blackboard throughout the pilot. During the span of the pilot additional minor issues were discovered with both systems. A faulty iClicker receiver slightly delayed the effective start date of clicker use in one course. The vendor responded by sending a new receiver, however it was an incorrect model. Instructional Services temporarily exchanged receivers with another member of the pilot group until a functional replacement arrived. Similarly, a Turning Technologies receiver was received with outdated firmware. Turning Technologies support staff identified the problem and assisted in updating the firmware with an update tool located on their website. A faculty participant discovered a software flaw in the iClicker software that hides the software toolbar when disconnecting a laptop from a second monitor. iClicker technical support assisted in identifying the problem and stated the problem would be addressed in a future software update. A workaround was identified that mitigated this problem for the remainder of the pilot. It is important to note that these issues were not widespread and did not widely affect all pilot users, however these issues attest to the need for timely, reliable, and effective vendor support. Students and faculty reported positive experiences with both technologies throughout the semester. Based on feedback, users of both systems found the new technologies to be much improved over the previous PRS system, indicating that adopting either technology would be perceived as an upgrade among students and faculty. Faculty pilot testers met several times during the semester to discuss their experiences with each system; feedback was sent to each vendor for their comments, suggestions, and solutions. During the stage three demonstrations, feedback from attendees focused on the inability for iClicker to integrate with Blackboard at that time and the substantial differences between the two systems in terms of entering numeric values (i.e., Turning Technologies has numeric buttons, while iClicker requires the use of a directional key pad to scroll through numeric characters). Feedback indicated that attendees perceived Turning Technologies’ clickers to be much more efficient for submitting numeric responses. Feedback regarding other functionalities indicated relative equality between both systems. Based on the findings of this pilot, Instructional Services recommends that NDSU IT adopt Turning Technologies as the replacement for the existing PRS system. While both pilot-tested systems are viable solutions, Turning Technologies appears to meet the needs of a larger user base. Additionally, the support offered by Turning Technologies was more timely and effective throughout the pilot. With the limited resources of IT, vendor support is critical and was a major reason for exploring alternative student response technologies. From Instructional Services’ standpoint, standardizing to one solution is imperative for two major reasons: cost efficiency for students (i.e., preventing students from having to purchase duplicate technologies) and efficient utilization of IT resources (i.e., support and training). It is important to note that this recommendation is based on the opinion of the Instructional Services staff and the majority of pilot testers, but is not based on consensus among all participating faculty and staff. It is possible that individual faculty members may elect to use other options that best meet their individual teaching needs, including (but not limited to) iClicker. As an IT organization, we continue to support technology that serves faculty, student and staff needs across various colleges, disciplines, and courses. We feel that this pilot was effective in determining the student response technology—Turning Technologies—that will best serve NDSU faculty, students and staff for the foreseeable future. Once a final decision concerning standardization is made, contract negotiations should begin in earnest with the goal of completion by January 1, 2012, in order to accommodate those wishing to use clickers during the spring session. Can use with anything – PowerPoint, Websites, Word, etc. This is a handy function in iClicker that lets the instructor see the %’s of votes as they come in, allowing the instructor to plan how he/she will proceed. Workaround: As the time winds down to answer the question, the question and answers are displayed on the screen. Intermittently, the instructor would push a button to mute the projector, push a button to view graph results quickly, then push a button to hide graph and push a button to unmute the projector. In summary, push four buttons quickly each time you want to see the feedback, and the students will see a black screen momentarily. Workaround: When uploading grades into Blackboard, upload them one session at a time, and use a calculated total column in Bb to combine them. Ideally, instructors would upload the grades daily or weekly to avoid backlog of sessions. Questions that use numeric answers are widely used in Math and the sciences. Instead of choosing a multiple-choice answer, students solve the problem and enter the actual numeric answer, which can include numbers and symbols. Workaround: Students push mode button and use directional pad to scroll up and down through a list of numbers, letters and symbols to choose each character individually from left to right. Then they must submit the answer. iClicker has 5 buttons on the transmitter for direct answer choices and Turning Technologies has 10. Workaround: Similar to numeric answer workaround. Once again the simpler transmitter becomes complex for the students. It took iClicker over 3 months to get their grade upload interface working with NDSU’s Blackboard system. The Turning Technology interface worked right away. No workaround.